Garden & Gun, I’m mad at you. And, after I’m finished hugging you, I’m going to give you the cold shoulder for a while. Why? Fried pies, that’s why. As usually happens, this idea planted itself in my brain a while ago when I discovered April McGreger’s posts on Grist(dot)org. Her Farmer’s Daughter brand is the ultimate dream for me – local traditions and history transformed into all kinds of award-winning deliciousness. As much as we’d like to believe, it’s not usually high-minded sacrifice that gets us to mend our evil environmental ways, it’s decadent deliciousness. And what’s so amazing is that almost without exception, what’s best for the environment and kindest to the animals is the most extra-ordinarily tasty too. Anyway, I’m talking fried pies here, don’t let me wander off. April posted this about her authentic fried pies in her blog and I’ve been carrying that around in my head ever since. But, April sells pies. And I want to make pies. Authentic ones. I need a recipe. Lucky for me, Garden & Gun shared this article about Joe Trull’s fried pies. And it’s just what I’d been looking for. The recipe gives tips & tricks to make your pies as authentic as can be. 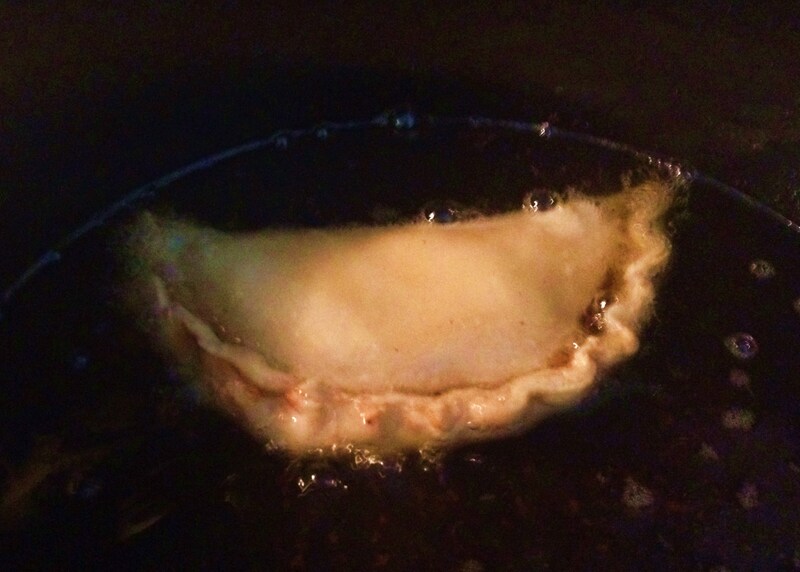 Why did it take me so long to get around to fried pie-making? Lard, that’s why. 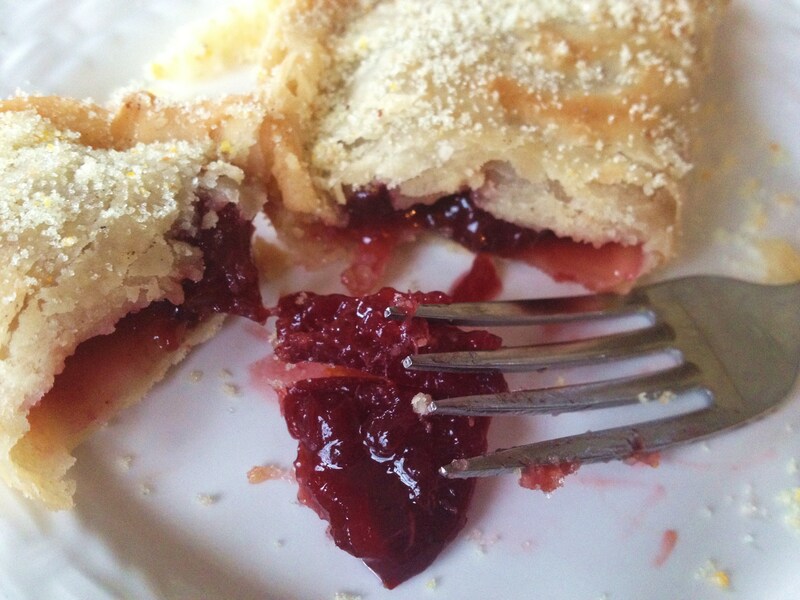 I didn’t want to fry my pies in Crisco or vegetable oil, I wanted the real, traditional deal. And, until I got my hands on some true leaf lard, I just wasn’t inspired. Note: if lard isn’t your thing, no problem. The recipe calls for high quality vegetable shortening, so you can do it too. Guess what? I’ve got leaf lard! Leaf lard is made from the fat surrounding the kidneys – it’s more delicate in flavor and texture than back fat and perfect for pastry. These pies do not taste one bit piggy. 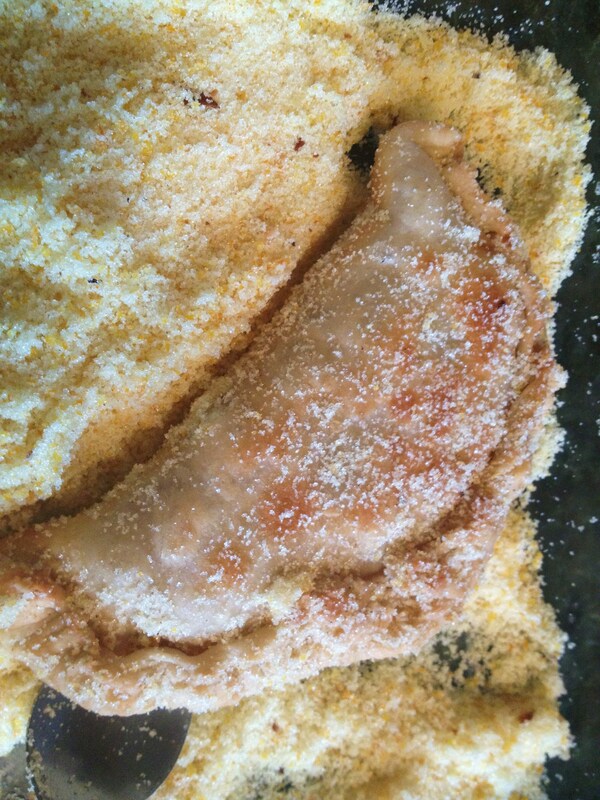 Leaf Lard: I used lard in the crust and as the frying oil. If you prefer shortening, go for a non-hydrogenated brand like Spectrum. The fat came from my own pig and I rendered 5 pounds in my crock pot – it’s not difficult at all and it’s been an amazingly useful ingredient. If you’re interested in giving it a try, here’s a step by step tutorial from the Fat Queen herself, Jennifer McLagan. If you haven’t already, you should really check out her book Fat – it will turn your beliefs about animal fats inside-out. See, one of the usually missing points in the debate about the affordability of sustainably raised meats is fat. We are in the habit of paying for yet throwing away all the fat from our meats then going on to purchase other commercial highly processed and/or expensive fats. In the day, the fat carefully collected from your pig was just as important as the meat. Prior to WWII, Lard was the most common source of cooking fat in the US. We were sold on commercial, processed fats by advertising campaigns promoting commercial fat sources as an improvement in healthfulness and hygiene, which is a post for another day. Turns out that the fat from well raised animals – not commercial lard sold on grocery shelves – is the healthier way to go. I tried a couple local riffs on the filling. First I went with rhubarb. I still had a pound of last fall’s rhubarb chopped and ready in the freezer. Of course, strawberries aren’t in season yet here yet and I didn’t have any of them in my freezer, so the rhubarb went solo. It was super-tart, but without any sunny lemony-ness. Good, but not great. If you’re a lover, don’t let me rain on your rhubarb parade, I think it’s me. I just don’t love rhubarb, and my rhubarb is the green type which only makes it more unlovable. I hit the jackpot with some plum pie filling I put up last summer. Now, this is important. 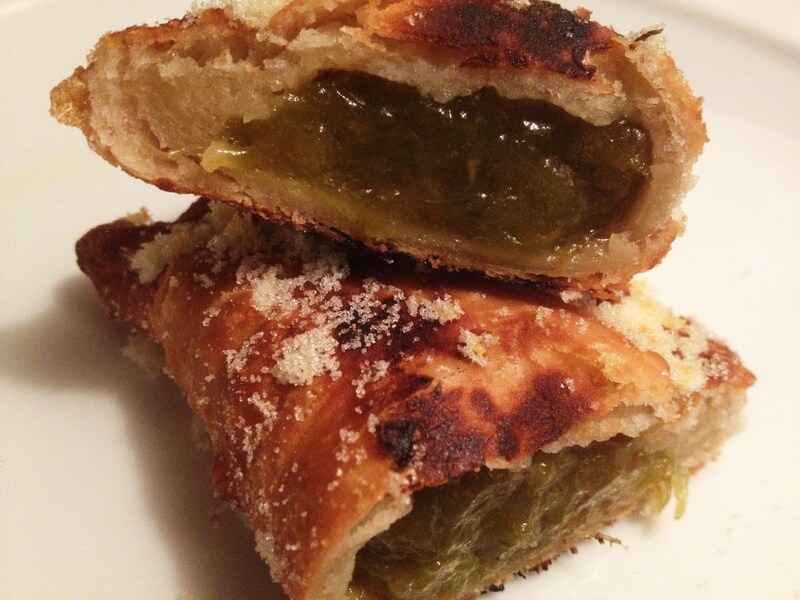 Fried pies need a filling that’s not too wet – some use dried fruits, some sweet potato and others fruit butter. Keeping that in mind, I strained the fruit from the juice and used a generous two spoonfuls of mostly fruit to fill my pies. 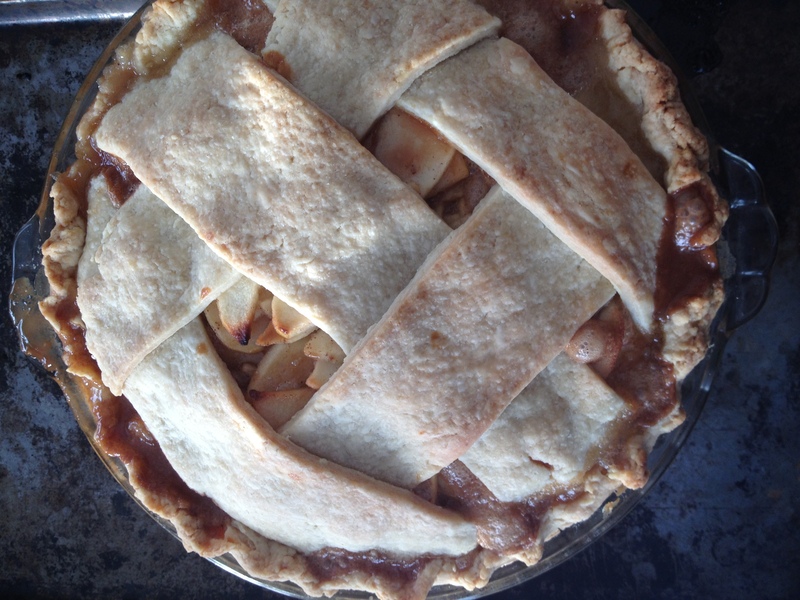 Joe shares several tips in the article, mainly the thing about the not-too-wet filling, the importance of maintaining proper oil temperature and heaven help me, rolling the finished pies in a mixture of sugar and orange zest. But I also found the dough thickness to be very important too. The 1/8-inch recommended thickness is perfect. The dough wants to be thicker, and it still tastes good that way, but the result is doughier and tougher. And you do have to pay attention while frying. The pies can burn quickly. You must think all I eat all day is candy, cookies, cake and pie. And some days, that may be true. Hey – it’s one of the perks of being a grown-up, right? But there is a reason I’m attracted to pie. In the quest to make total use of every scrap of everything I grow here, pies both savory and sweet are a good trick to know. They’re universally loved and relatively cheap; it’s no accident that every culture has one version of pie or another. I ask you: Who doesn’t like pie? What’s your favorite way to eat things in crust? A rhubarb pie sounds amazing but I really can’t eat things like this anymore – rather I should just glue them onto my hips. I guess I’m just active enough that I can get away with it. Not that I don’t have ups and downs… too much fried pie and I’d definitely be on the upswing… but I’m a believer in enjoying the simple pleasures of life too. This past fall I baked lots of sweet potato pies and my entire family is now hooked. Fresh strawberry and blueberry pies with fresh whipped cream are heavenly. It really doesn’t matter the filling, pie is wonderful. Even saying the word makes me dreamy. I haven’t tried sweet potato pie although it is a traditional filling for fried pies. I have tons of pumpkin left I may try to adapt. Your fresh berry pies sound delicious and what isn’t dreamy with enough fresh whipped cream? I have never heard of the name ‘fried pie’ but they look amazing. We’re awash with lard, too, from the amazingly fat and huge Gascon pig we butchered a few months back. What flour do you use? If you want to get traditional it might be worth trying some older wheat; the taller pre-Borlaug stuff not the modern dwarf varieties. It is called blé ancien here, no idea how they differentiate it in the USA. Thanks for this. I hope Jean is up for the fried pie challenge. Everything sounds more delicious in French! I used plain old white all-purpose for these. We are seeing a renaissance of the ancient grains which is pretty exciting. But a skill- set I havent yet mastered. I’m working on it though! k. I’m on it! I’ll use Einkorn. k. I’m on it! I’ll use Einkorn for these. Awesome! You have to let me know how they turned out.